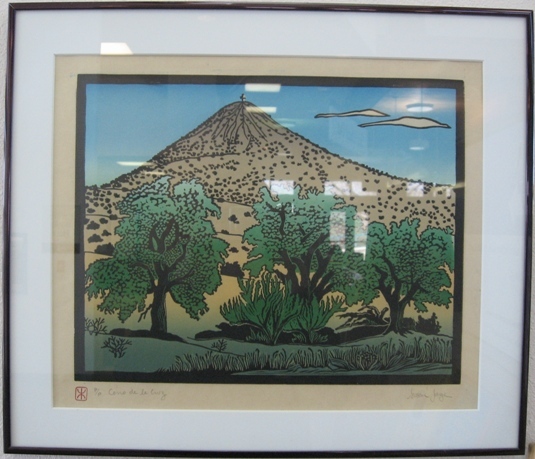 Artist Susan Junge created these limited edition linocuts. 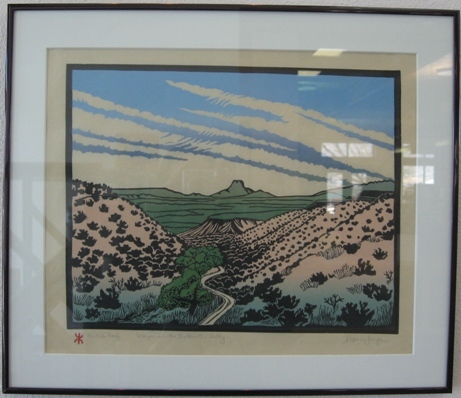 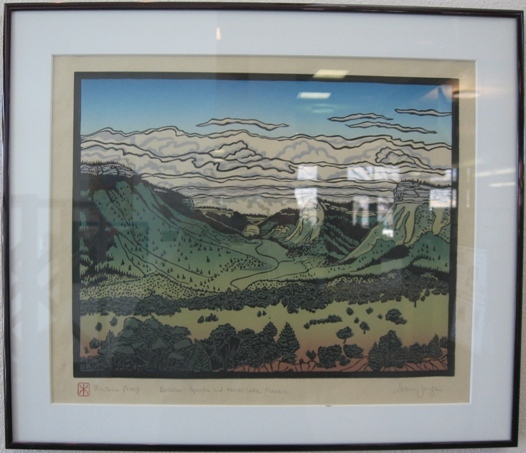 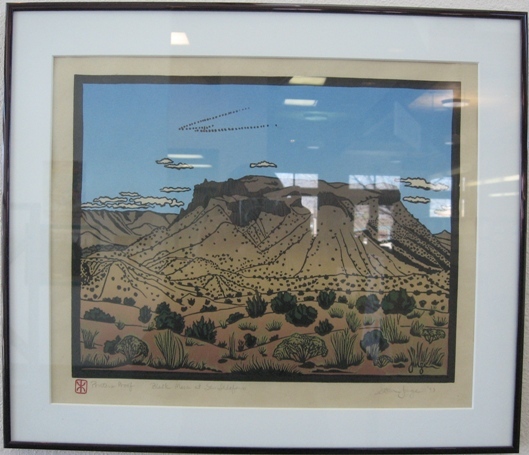 All of her linocuts capture the beauty of our local landscapes. 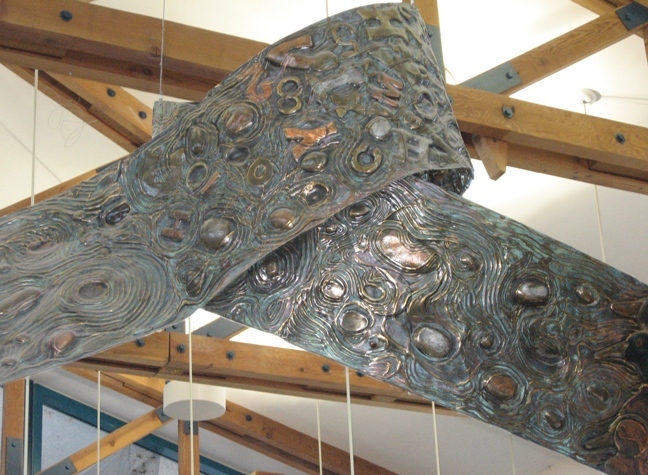 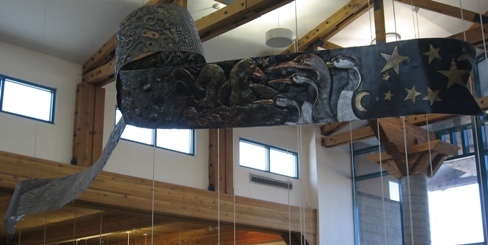 Rio Grande Ribbon is a piece that reflects the wildlife found along the Rio Grande River. 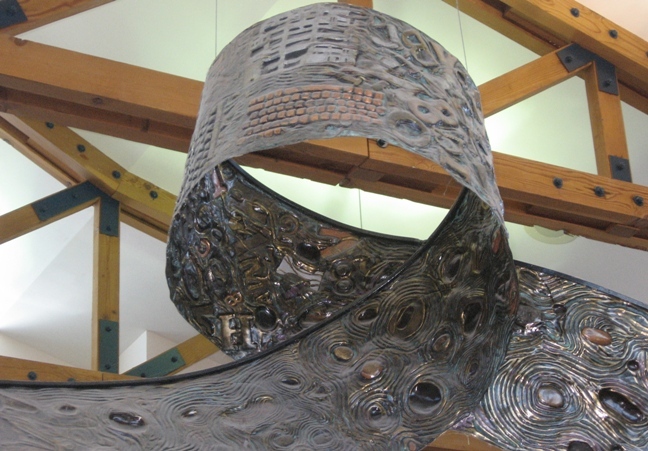 In the center of the knot are the Dewey Decimal numbers referencing the designs on the ribbon. 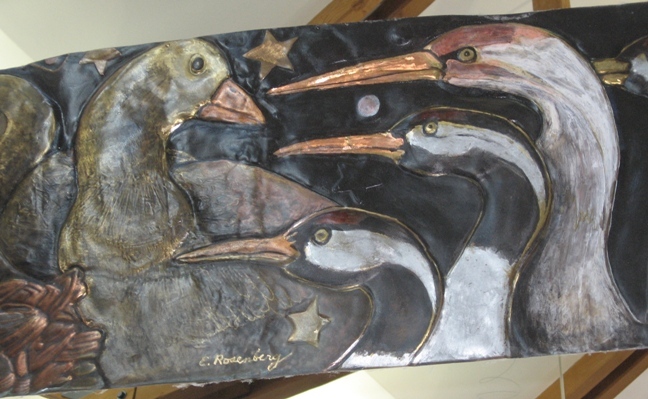 Created by Evelyn Rosenberg.